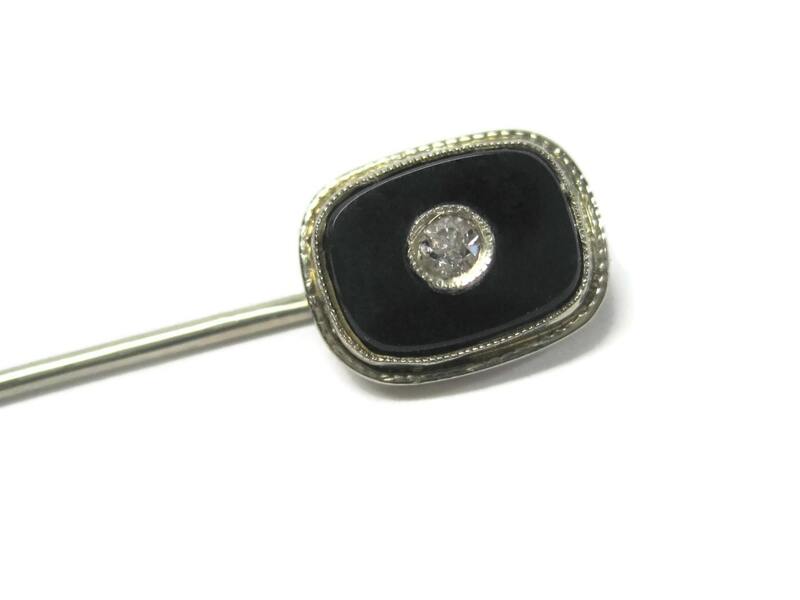 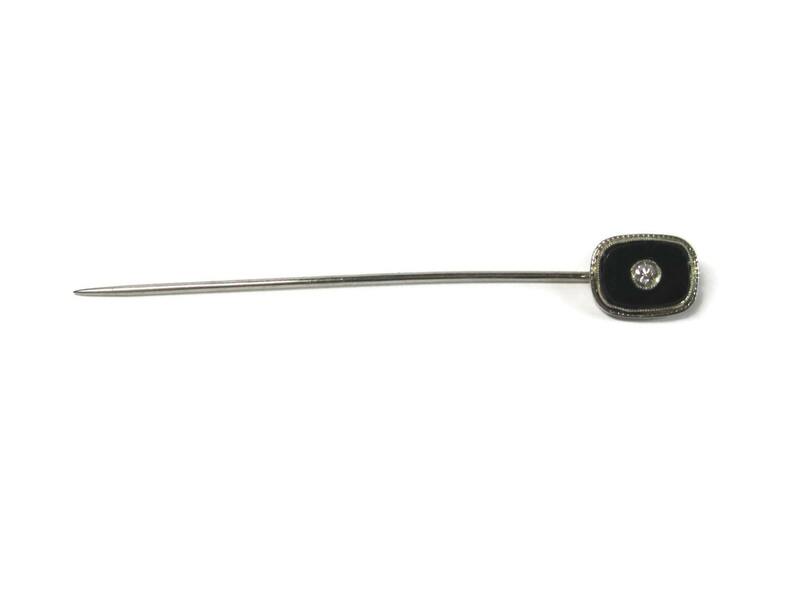 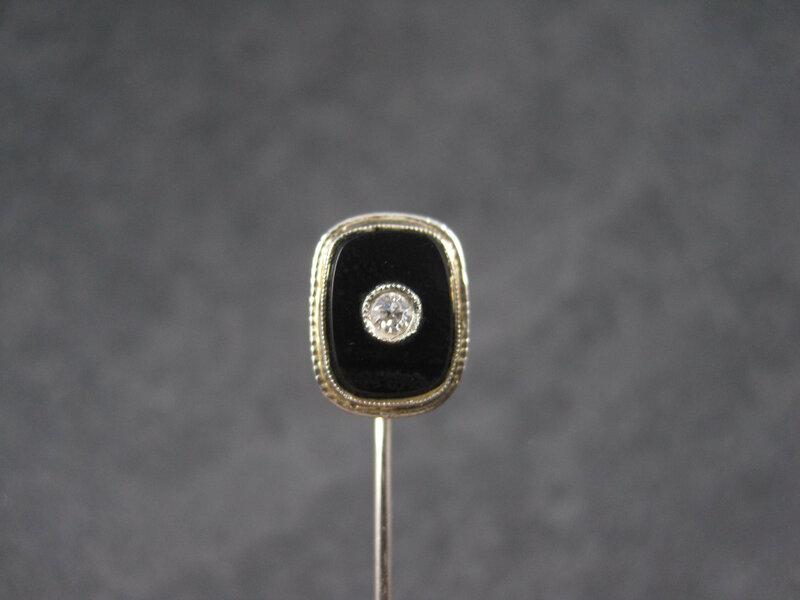 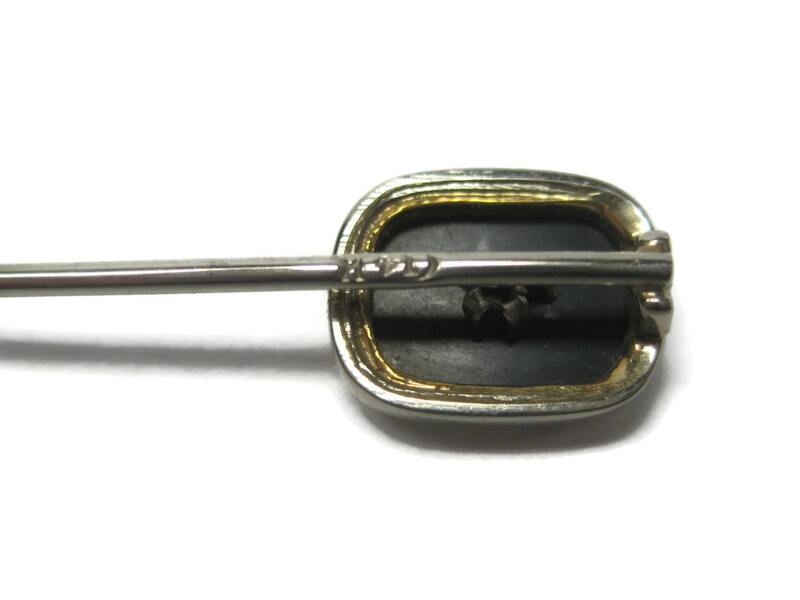 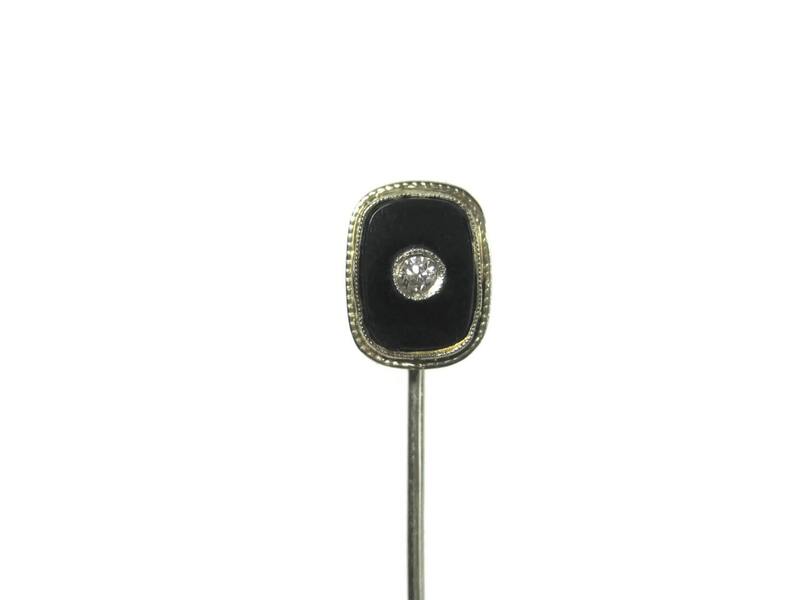 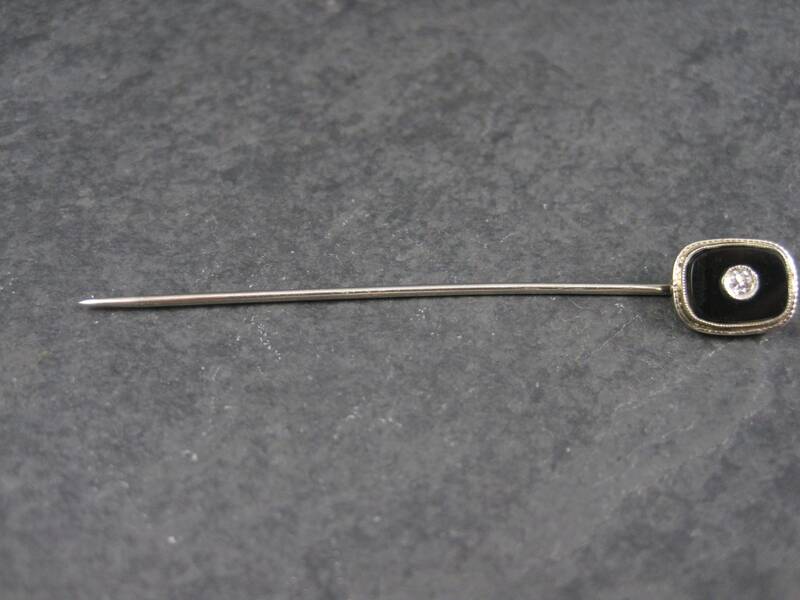 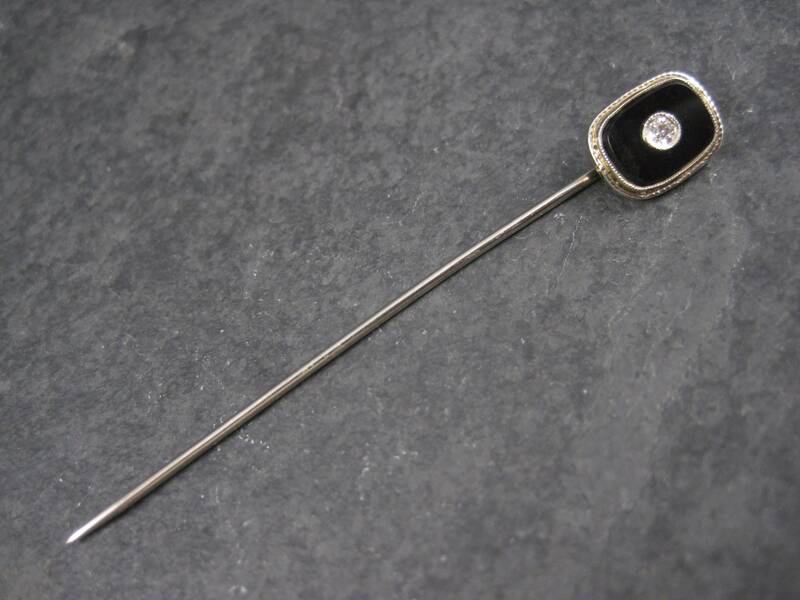 This gorgeous antique stick pin is 14k white gold. 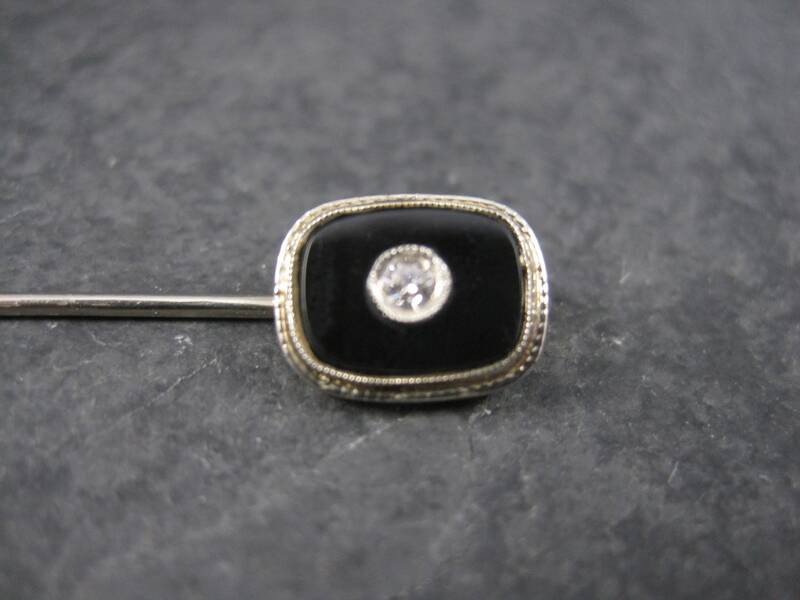 It features a genuine onyx head with a .05 carat inset diamond. 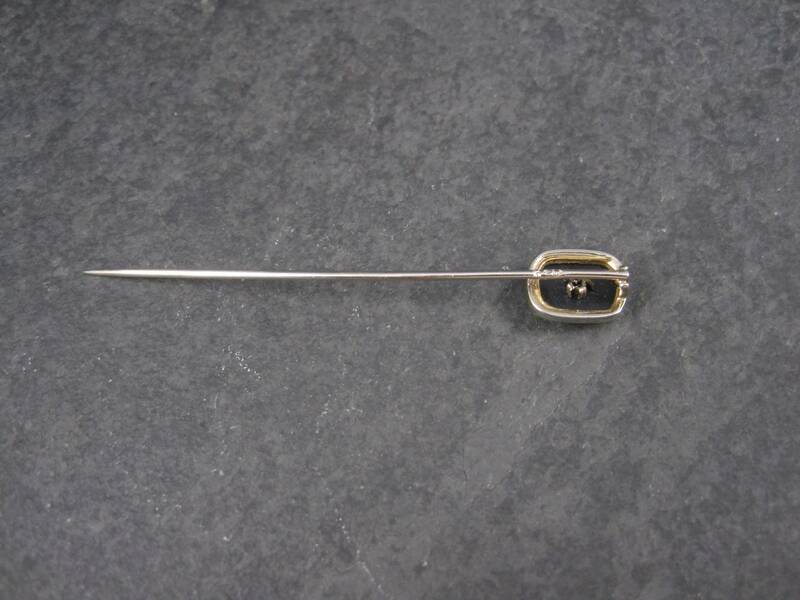 The head measures 5/16 by 7/16th inches. 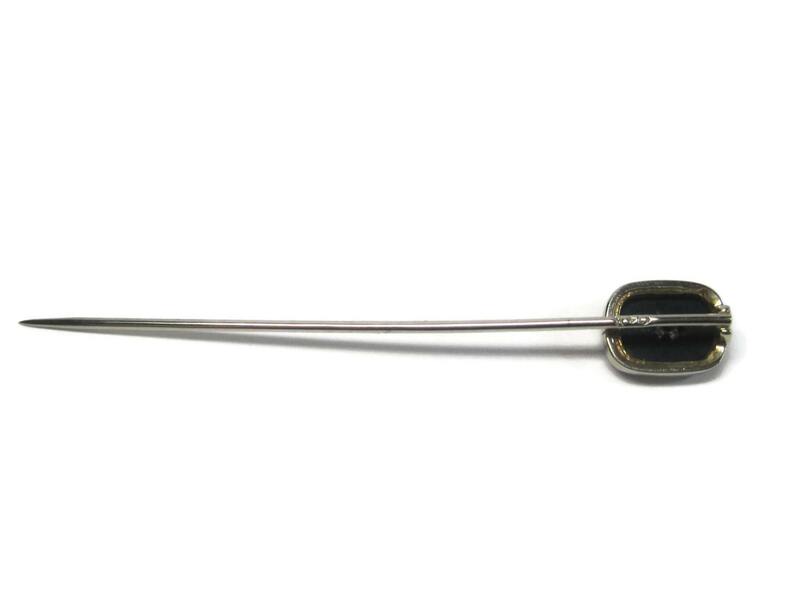 The entire pin is 2.5 inches.